Hello Games’ ambitious space exploration game No Man’s Sky should be out this week, but it was delayed at the 11th hour, and will now be coming along in August. 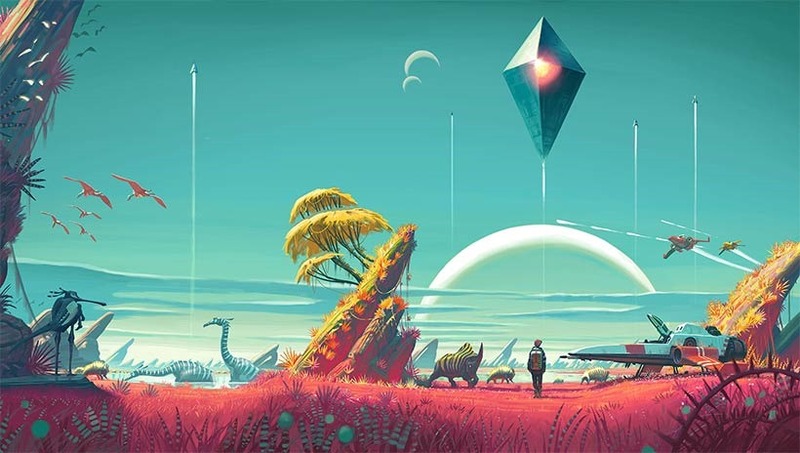 At the time, Hello’s Sean Murray said the game needed a little more polish, but it seems there’s been another reason the game’s not yet out. They’ve not been able to legally use the word “Sky.” It seems ridiculous, but it’s another case of the arcane art of copyright law in play. The word sky, when used for electronic media, is copyrighted by the Sky UK Limited Telecom group; the same people who bring you Sky News et al, and the same people who made Microsoft change their cloud-storage service SkyDrive to Onedrive as it infringed on their trademark. Thankfully for Hello Games, they’re now able to use the name. “Yay! We finally settled with Sky (they own the word “Sky”). We can call our game No Man’s Sky. 3 years of secret stupid legal nonsense over,” creator Sean Murray tweeted. The dispute is very possible why you’ve seen very little of the game in media at the moment, and is just another example of trademark law being silly, when people are given the legal rights over a word that’s in the common lexicon. It’s the stuff we see when we look up, for god’s sake. But, with that out of the way, it means there are no more hurdles left, and we can finally see what all the fuss is about and if it lives up to the aura of hype that surrounds it. No Man’s Sky is out on PC and PlayStation 4 on August 9, 2016.